Raw, healthier foods aren't normally something I make. My best mate does. My Mum does. Me? Well, I'm known more for my sugar laden (even though I've really cut down over the years) gluten free baked goods. That's why you're here, right? Well, we all grow, and these 'healthier' versions are something I want to work on. I want to work on foods that are not only delicious, but also a healthier alternative for me and my family. Don't get me wrong, I know it has been a while but don't worry this space is not going to morph into a healthy food blog. Hell no! That may be others journey, but it isn't mine. 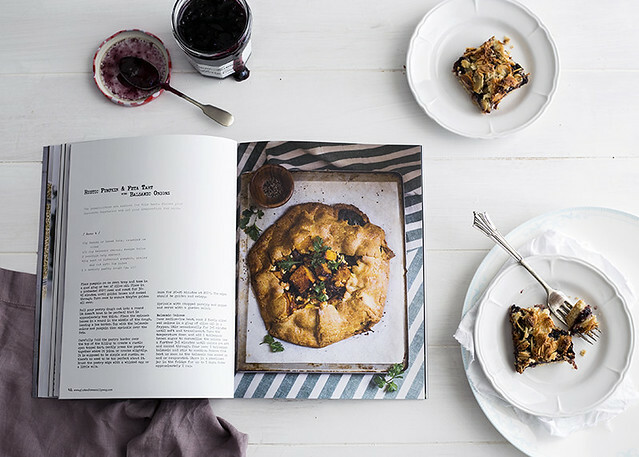 I want a happy medium of the foods we enjoy at home or I recreate at home to be shared with you, so that wherever you are on your journey you can find something delicious. To make this slice vegan substitute the honey for rice malt syrup or maple syrup. You can make your own raw chocolate for the top, Google will be able to give you a recipe for this. Line the base and sides of a 13 x 21cm tin with baking paper. Place all of the base ingredients in a food processor and blitz until combined. The mixture should stick together when pressed against the side. Add the second tablespoon of coconut oil if needed, as it shouldn't be too dry or it will crumble. Press firmly into the prepared tin and smooth the top. Place in the freezer to set for 20minutes. To make the caramel stir together the peanut butter and two tablespoons honey. Taste and add the third tablespoon of honey if you wish. Remove the base from the freezer, it needs to have set for about 20minutes or you will pull up the base when you spread the caramel over it. Scatter the peanuts over the base and pour the peanut butter caramel over the top. Pour over the melted chocolate and smooth the top. For an even chocolate top tap the tin a few times on your bench and give the tin a little shake to smooth it out. Cover and return to the freezer for an hour to set. Remove from the freezer and cut into portions. Store covered in the freezer for 2 weeks, allow 10-15minutes for the slice to 'warm' up if eating from the freezer. Will also keep covered, in the fridge for 5 days. 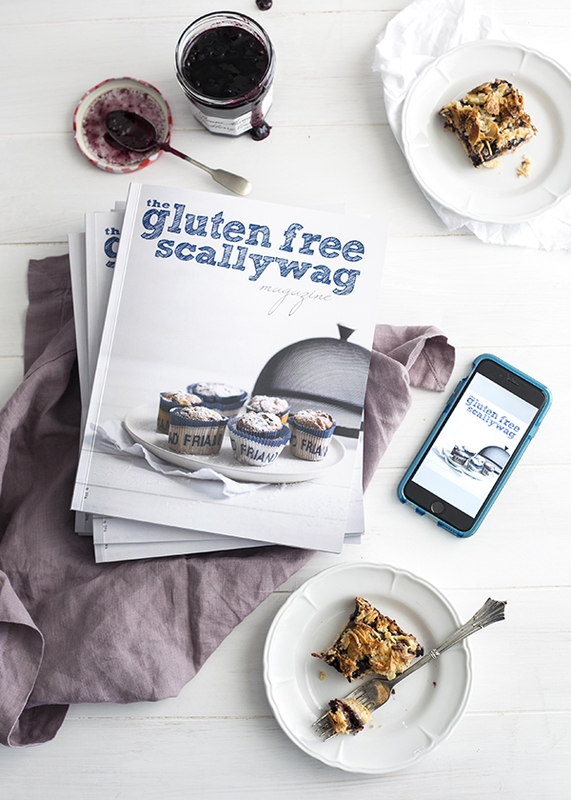 I'm so excited to share with you Vol 4 of The Gluten Free Scallywag Magazine! I've been working hard on this edition for over a year, intact its development spans two states, one pregnancy and the birth of one little human (who just lights up my life and makes the need for caffeine all too real!). Yep. Volume 4 is here and I reckon it is pretty wonderful. There are recipes for all taste buds; Strawberry & Quinoa Chocolate Muffins (a personal favourite), Feta & Zucchini Fritters for those who prefer a warm breakfast, I made my man's year by making Crispy Pork Belly and Beef Bourguignon , along with friends who were more than happy to taste test the Balsamic Lamb Shanks . The Rustic Balsamic Onion & Pumpkin Tart is a new favourite too, thanks to my Savoury Gluten Free Pastry recipe (which I'm really happy with, so light and buttery with a gorgeous crunch). Spring Risotto and a kick arse Cauliflower Soup recipe made my Mum's belly sing, being vegetarian she is my consistent 'deliciousness factor' detector. Thanks to being pregnant at the beginning of recipe development I went a little bit nuts for cheesecake and included a whole section on them; Classic New York Baked Cheesecake , I revamped the all time blog favourite Chocolate Hazelnut Pots and the Peanut Butter, Caramel & Banana Cheesecake was a hit with my mother's group. 9 breastfeeding women surely cannot be wrong! My friend Sally inspired the Rummy Caramel Sauce that I drizzled (with gusto) all over the Apple & Hazelnut Upside-Down Cake and my son thoroughly enjoyed the smoothie testing process . His favourite, the Chocolate Coconut & Cherry Smoothie(think Cherry Ripe in a glass!). 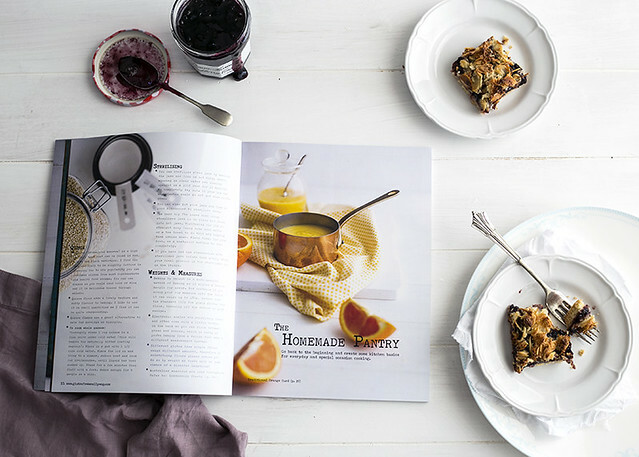 So, whether you're a sweet tooth, vegetarian or a meat lover there is something within its cover pages to suit everyone. 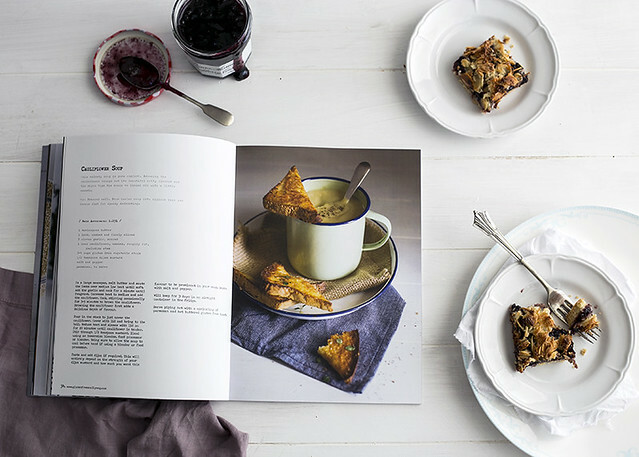 Now, onto this classic jam and coconut slice. This is a favourite of mine, along with a few family members and now mothers group girlfriends... yeah, it's just that kind of slice. The base is a light, buttery shortbread with a hint of coconut that goes all golden before you slather it with sticky blackberry jam and spoon over some flaked almonds and coconut to go all golden and crunchy . You can have fun switching up the jam to your favourite, apricot, strawberry or next winter I'm actually going to make the topping only and spoon it over some cinnamon apples to make a naturally dairy and gluten free crumble. Yum. Bring on winter. Ahem... and it's not even summer here in Perth (just!). 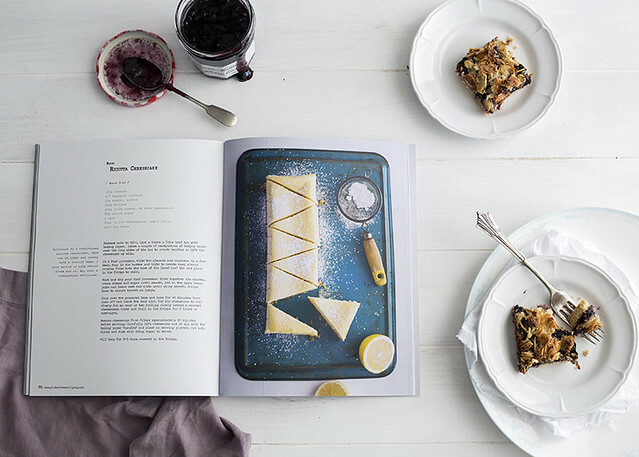 So, pop into your kitchen, grab a spoon, a bowl and your scales and get to baking. As that's all you need for this recipe to get into the pan and baking in your oven! Yay for minimal dishes I say! 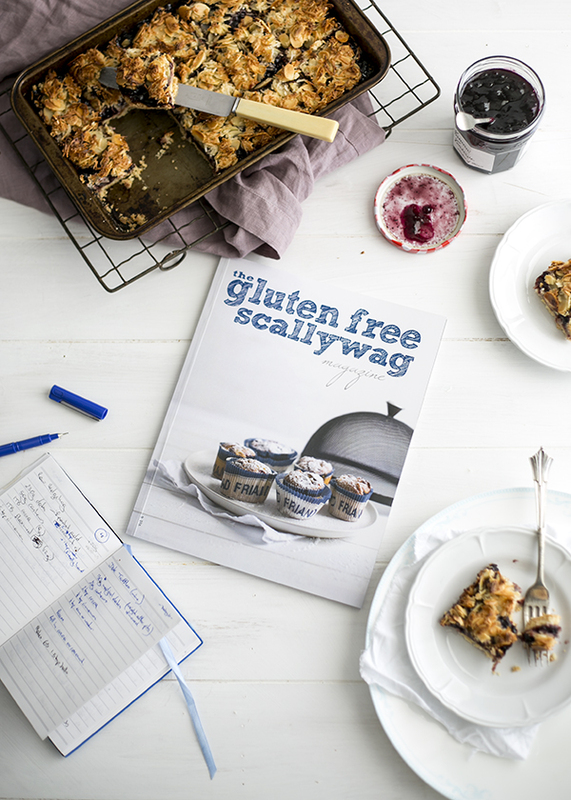 In all the excitement you best pop over and purchase a copy of The Gluten Free Scallywag Magazine too, as there's even more deliciousness to be had if you have a copy at your house for future gluten free baking adventures. 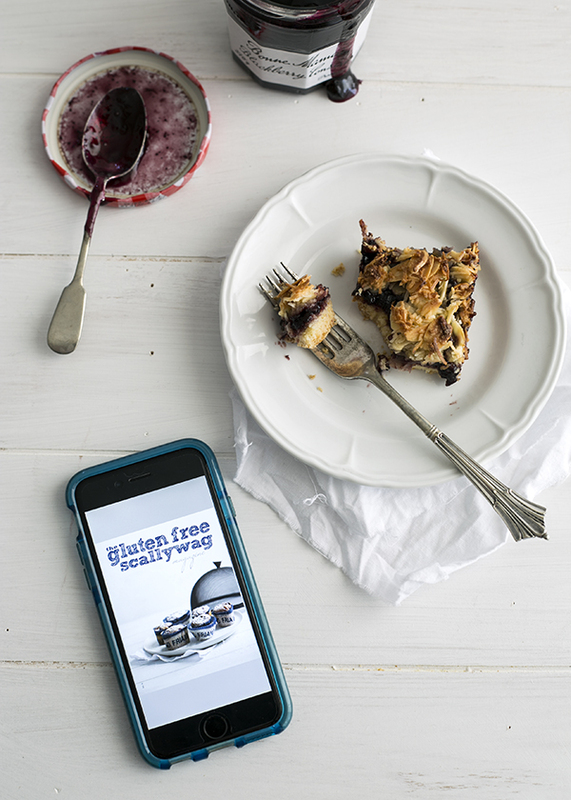 Grab a copy of The Gluten Free Scallywag Magazine here. 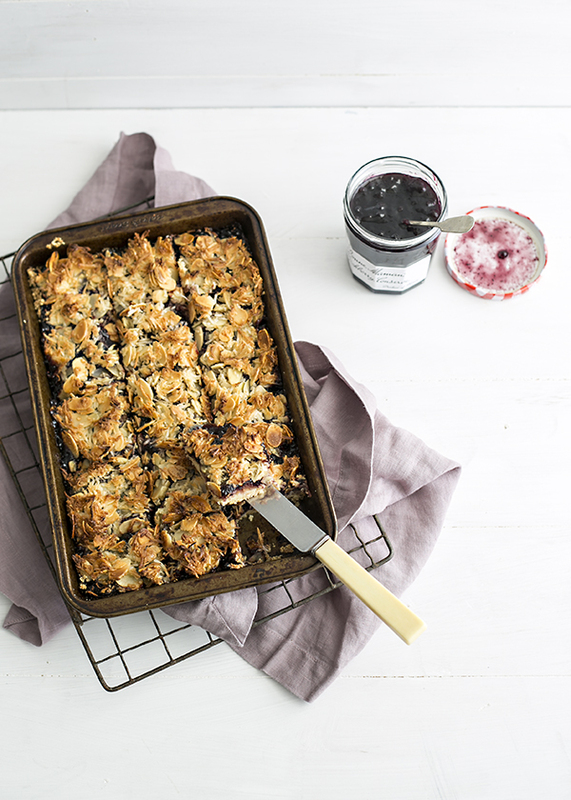 This gluten free take on the classic jam and coconut slice doesn't disappoint. 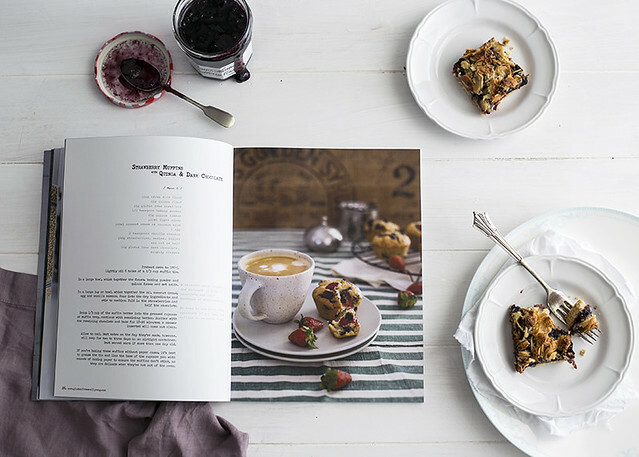 A buttery coconut shortbread is hidden below a sticky blackberry jam that is covered in crisp, golden flaked almonds and coconut. It's soft, chewy, crunchy and slightly crumbly all in one delightful mouthful. Nut Free Option*: If you're nut free simply swap the flaked almonds for sunflower seeds or double the coconut in the topping. Preheat oven to 180°C. Line a 26cm x 16cm tin with baking paper. In a bowl, mix together the flour, sugar, butter, coconut and baking powder to combine. Press into the base of the prepared tin. Bake for 12-15minutes; the base will be a light golden colour. Allow to cool for 10-15minutes (this aids in the jam not lifting the top of the shortbread base while you spread it out. By all means if you're impatient and you're working with soft, spreadable jam then spread on ahead!). Carefully spread with jam. Warming the jam, so it is soft will help it spread and not lift up the base. Combine the topping ingredients together in a bowl and spread over the jam. Bake for 20 minutes, until the coconut almond topping is golden on top. Allow to cool completely in the tin. Cut the slice into 12-15 squares. Keeps well for 2-3days in an airtight container. I'm honestly not quite sure where time has gone. Just a moment ago I was pregnant and living in Melbourne and now our little cookie is 10 months old (today infact and yes, that's where I've been ) I feel the past 10 months have disappeared down the rabbit hole, much like Alice once did. Instead of meeting a funny cat and going on an adventure through a colourful world, I'm making funny noises at my son, learning all about his little personality and what it is like to look after a little person 100% of the time. Which, in itself is a little bit of a new colourful world. Note to self, double check recipe ingredients are in cake when small child is vying for your attention or you'll end up putting the cake in the oven without the eggs in it! Thankfully I noticed after only a minute so the cake in question was saved. It's an amazing little world that you enter when you become a parent. I'm learning each day. I have listened to all the Mum's (and Dad's) I've known and taken on little bits of their advice, becoming a Mum in my own way, as my gorgeous husband becomes a Dadand we (try to) figure it all out together. This banana cake on the other hand is a little bit easier to figure out and a lot less colourful. Cue the coloured cakes for our little cookie's birthday party. Bring on the multi-coloured layer cakes I say! However, back to my rather subdued (in comparison) birthday cake... this fella (not sure when I decided it was a boy) is laced with a touch of cinnamon, but the real kicker is the toasty warmth the hazelnut meal adds to the lightness of the crumb and the flavour that fills your mouth when you take a big whopping bite. I topped this naturally dairy free cake with a slathering of sinful cream laden ganache, but apparently you can make it with coconut cream if you can't handle the dairy. I made this cake again on my birthday, I'd run out of bananas so subbed the remaining 80g with apple puree and it was delicious. I didn't have any hazelnut meal left either so almond meal it was. Thanks to the subtle flavour of almond meal I thought I'd kick up the cinnamon by another teaspoon and voila. Another cake. Another birthday cake. Oh. I made chocolate mousse, carrot cake and cheesecake for my birthday morning tea too and watched one of my favourite movies; Grease. Such a classic. A bit like this cake. The cake is dairy free, the ganache is not. I made quite a thick ganache, which I would change to a thinner version next time. Teresa Cutter suggests you can make the ganache with coconut cream for those that are dairy/lactose free. 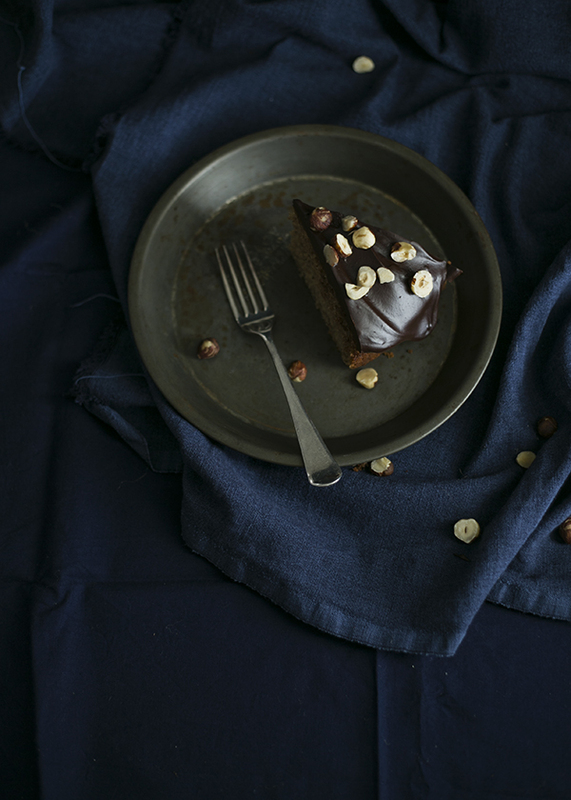 Check out her notes on making ganache here . You can easily substitute your favourite gluten free flour mix for the total 210g of flours stated below. If nut free try using desiccated coconut rather than hazelnut meal. Coconut is drier though, so do watch the cooking time, it may be slightly less. Update: I made this recipe and baked them as cupcakes. It made 15 cupcakes, although if you filled them a little higher you might make 12 larger ones at a pinch (you don't want them to overflow!) and I baked them for abbot 16-18minutes. Warm from the oven and dusted with icing sugar, delicious! Preheat oven to 160 degrees Celsius. Grease (with oil if dairy free) and line a 20cm round tin with baking paper. In a large bowl whisk together the dry ingredients; flours, hazelnut meal, baking powder and cinnamon. In a medium bowl whisk together the wet ingredients; mashed banana, sugar, oil, vanilla essence and eggs until sugar has just dissolved. Combine wet into dry and mix until just combined. Pour into baking tin and bake for approximately 42-45minutes. A skewer inserted should come out clean. In saucepan bring 200ml cream to just below boiling point. Remove from heat and add in 200g finely chopped dark chocolate (I used 72% Whittakers which is dairy free). Allow to sit for a minute or two before stirring and making sure the chocolate has melted. 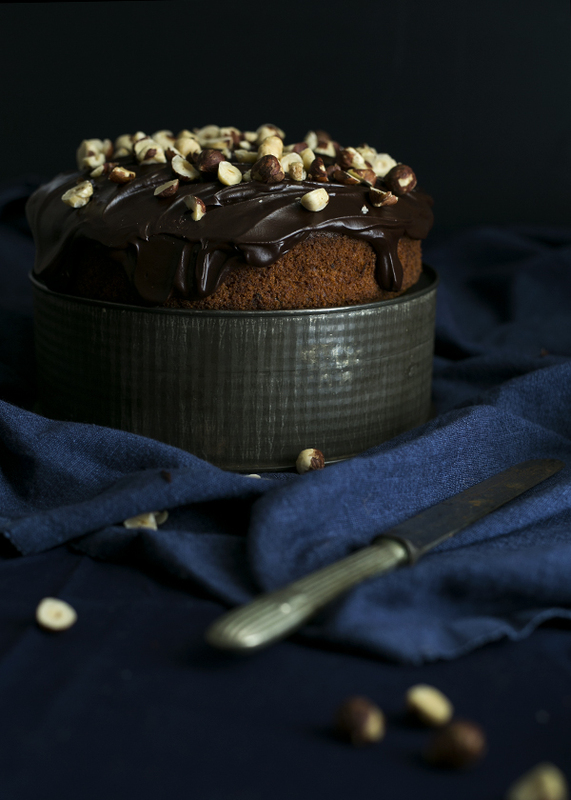 Allow ganache to cool for an hour or three or it will run off your cake. This depends entirely on how warmth your kitchen environment is, so check it every now and then. 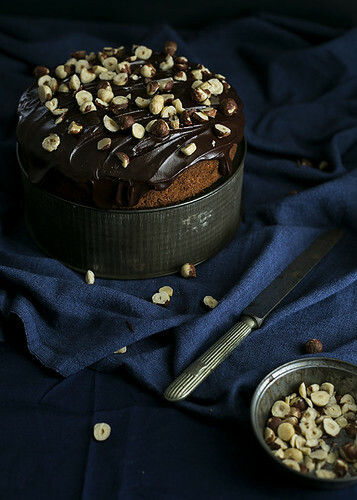 Pour and smooth the ganache over the cake and decorate with some roughly chopped roasted hazelnuts. 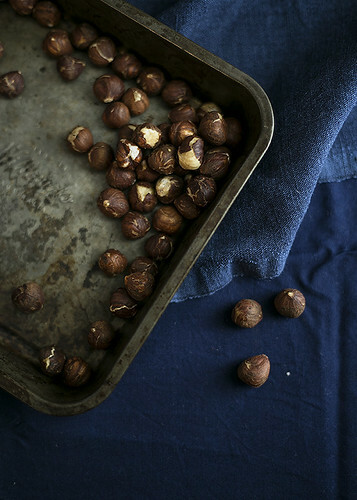 *To make roasted hazelnut meal: roast whole hazelnuts for a few minutes in the warmed oven. Remove skins, cool and blitz in blender to form fine crumbs. You can also use normal hazelnut meal.
. It's been just over two months and I still can't quite believe it. He has grown so quickly already; his little cheeks have filled out, his arms and legs have those adorable chubby baby rolls on them. is the cutest thing I've ever seen. I'm biased, but the lady at Bed Bath n Table also told me so the other day. Life is settling down a little. My man, David and I learn more about each other and our little cookie each day. I'm attempting to slow down. , hopefully, mid year after my self imposed maternity leave. 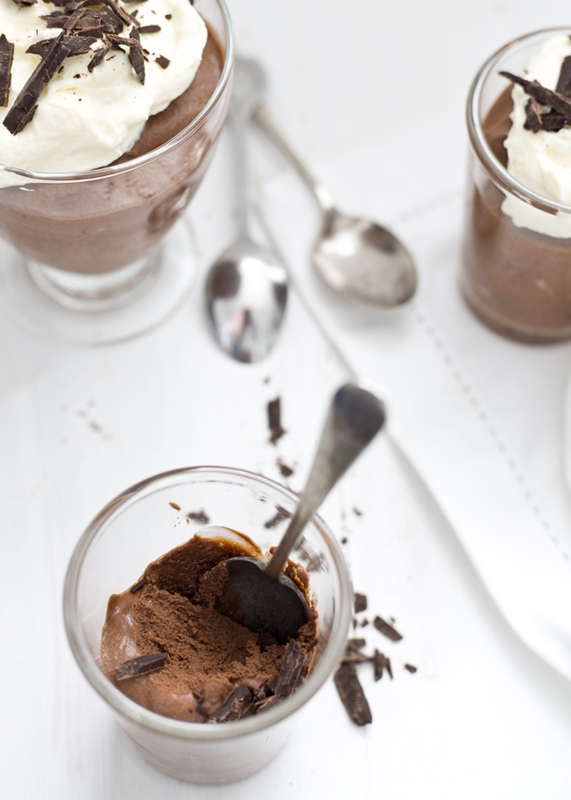 I had been planning on whipping up two things in my kitchen; chocolate mousse and tiramisu. Pregnancy put a stop to that thanks to the recipes' raw eggs. Now (yay now!) I can enjoy them! 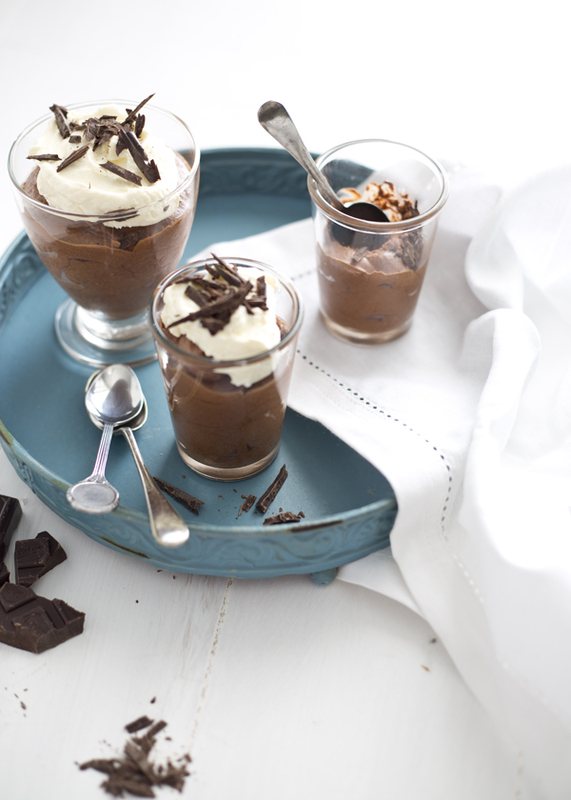 I've made this chocolate mousse a few times now. I alternate between using Whittakers 72% or 50% cocoa chocolate. Funnily enough the consensus is that that lower cocoa chocolate is somehow richer, perhaps the sweetness? I'm not sure, I'll have to make both again to confirm. 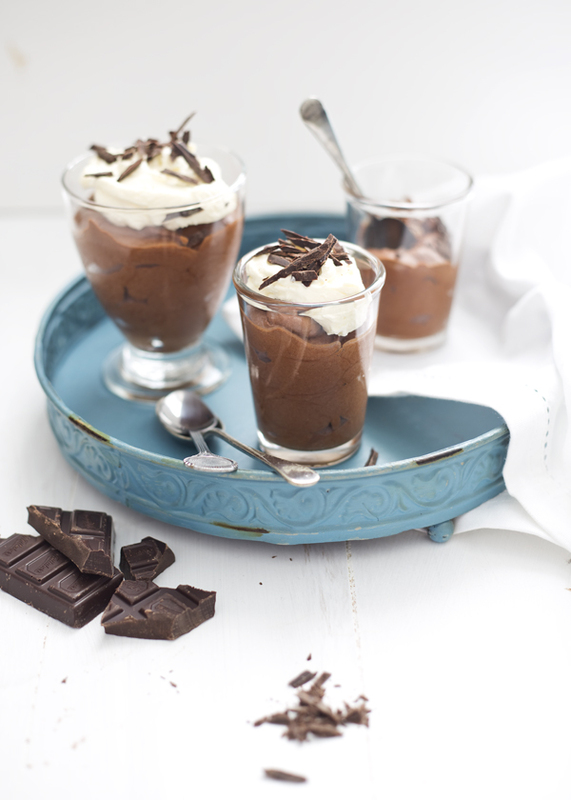 Topped with the creamy tang of mascarpone whipped cream and extra chocolate shavings, these mousse pots are a truly decadent dessert. Perfect as the end to a simple dinner or elegant dinner soirée. Especially in this Perth heat; melt, whisk, whisk more, chill. I'd share spoonfuls with my husband come Saturday, but, alas he's starting a detox and he doesn't like mousse! See, sometimes life is all about falling for a guy with different dessert tastessimply so you don't have to share.So go, make mousse. Share mousse. Don't share mousse. Either way you'll enjoy it. PS. The tiramisu will come. I promise. Melt chocolate in a microwave or in a bowl set over simmering water (ensure bowl doesn't touch water). Set aside to cool for 5minutes. Meanwhile, whisk the eggwhites to soft peaks. Whisk in sugar until dissolved and stiff peaks are formed. Gently stir the egg yolks into the cooled chocolate. Do not overmix as the chocolate will harden. Gently fold half of the egg whites into the chocolate with a metal spoon, followed by the remaining egg whites and whipped cream. You want to keep the mixture as airy as possible. Spoon or pour into 6 1/3cup jars. Chill in the fridge for at least 2 hours. Can be made 24 hours ahead. To make the mascarpone cream. Whisk together 1/4cup cream with 1/3cup mascarpone until soft peaks form. 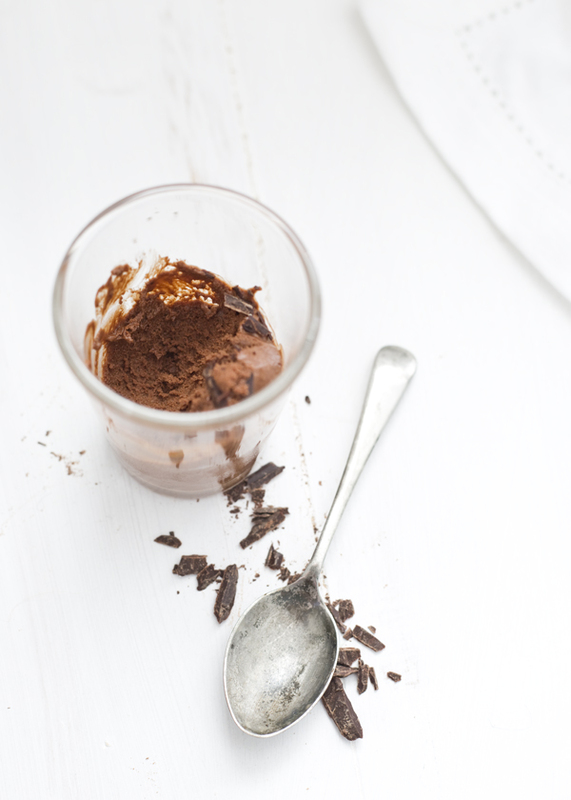 To serve remove mousse from fridge 10minutes before serving (or not at all if it's a really hot day), dollop with the mascarpone cream and top with a sprinkle of grated chocolate.